Need chalk, extra rubber bands or a new lid? 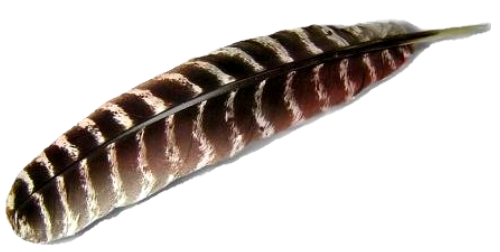 This compact slate call is easy to use and is just right for the novice or beginner turkey hunter. Just as the name says, this call is a cut above other round slates. 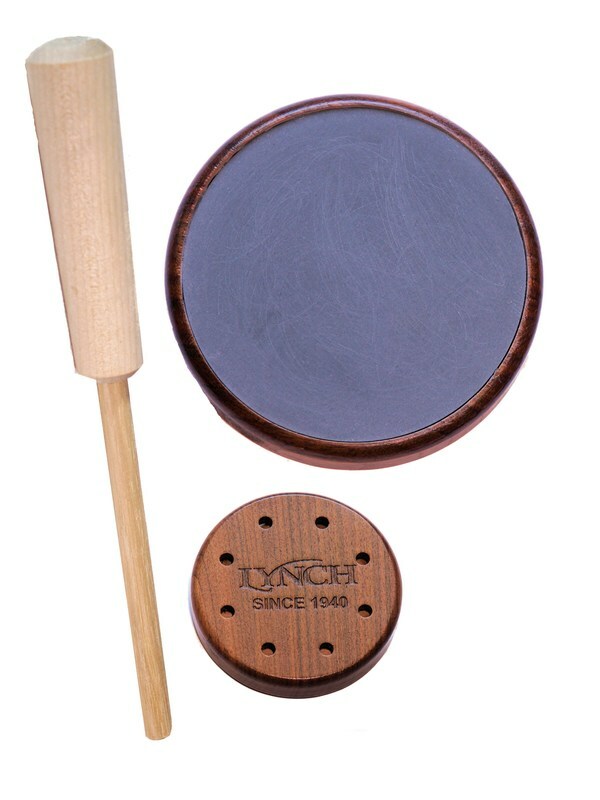 Premium slate above a perfectly matched piece of glass is set in a precision milled solid mahogany cup to produce the legendary sounds only found in a Lynch call. 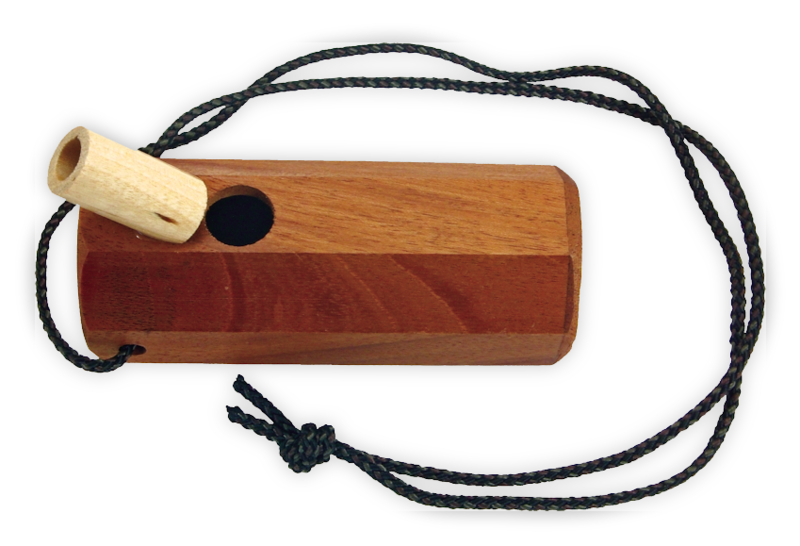 We use mahogany because wood gives the natural sounds instead of plastic calls that sound artificial. 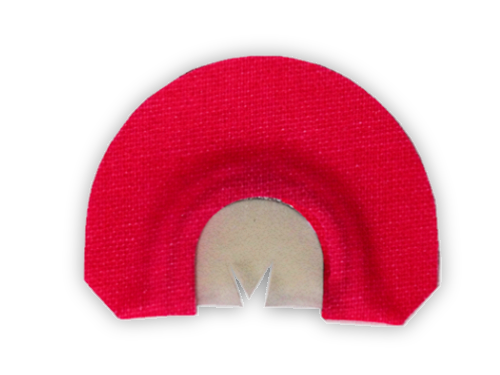 This is one call that you do not want to go to the turkey woods without. 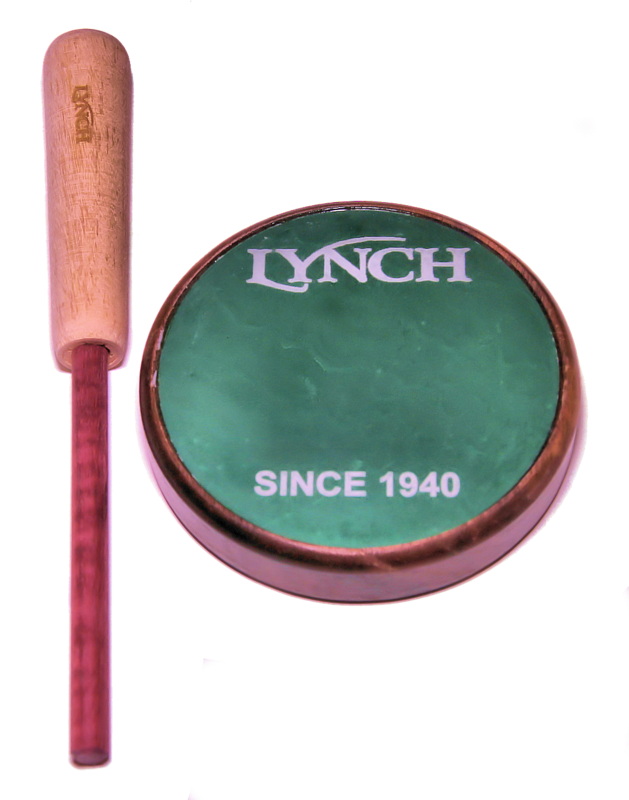 The Lynch Cutt Above Pro adds amazing range and tone to the already popular Cutt Above round slate. The new call has rounded sides for ease of use and is milled from solid walnut. 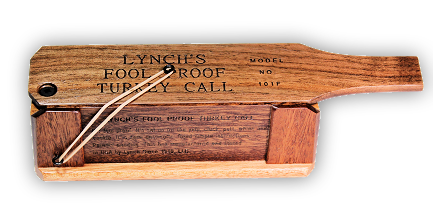 A premium slate is matched to the crystal sounding board to give clear clucks, purrs and yelps needed to make those realistic turkey sounds found in Lynch calls. 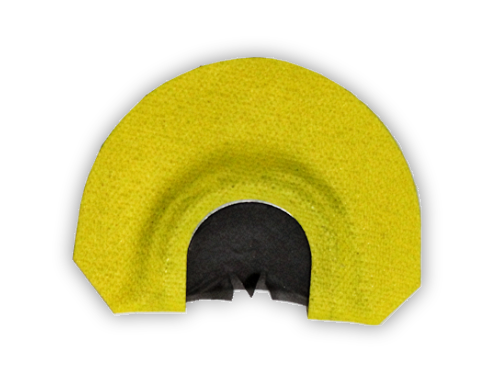 Lynch added a New Aluminum pot call that will help hunters find the ear of a Big Ol' gobbler on windy days or in areas with a lot of foliage. The frequency generated sound of our aluminum pot will carry over long distances and help get the attention of birds normally out of reach. Hunt long distance with the New PRO High Cutt from Lynch. 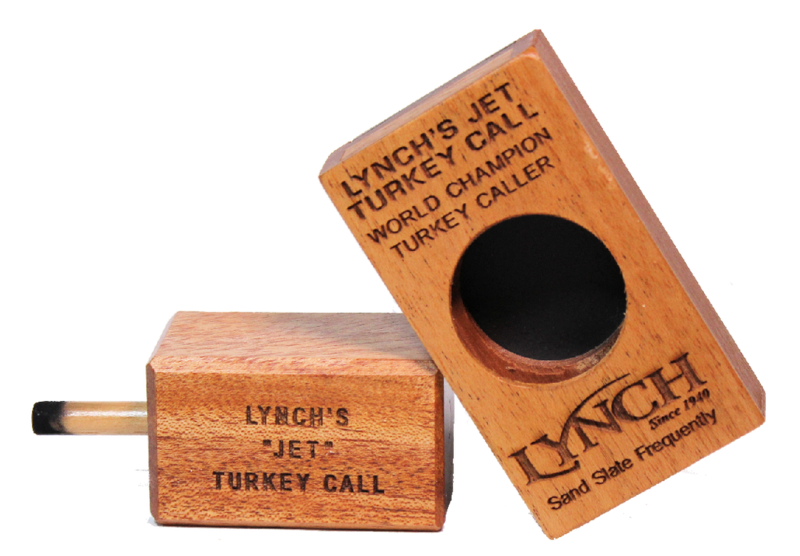 The LEGACY COLLECTION from Lynch includes these 3 turkey calls: The World Champion, The Jet Slate and The Fool Proof. 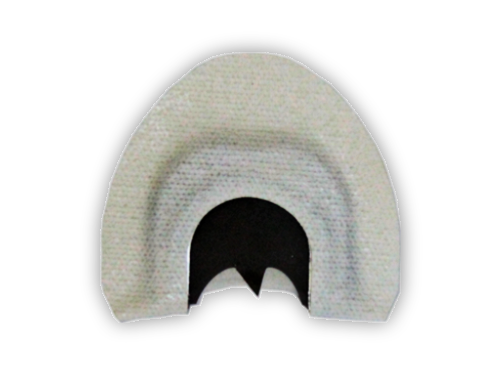 These calls are the original call designs that M.L. 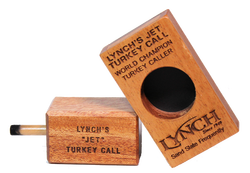 Lynch used to start his World Famous turkey call company.